A global review of data-driven marketing by GlobalDMA and the Winterberry Group found in its survey of 3,000 marketing professionals that nearly all recognize the importance of data in advertising and customer experience efforts, with over 77% saying they’re confident in the practice and its prospects for future growth. That study also noted that spending on data-driven marketing grew for 63%of respondents in 2013, and 74% said that growth will continue this year1. If YouTube is part of your audience outreach plans, check out YouTube Channelytics. Their helpful data analysis interface lets you do everything from check your subscriber rates to understand your top traffic sources and audience device preferences. Know if most of your views are coming via mobile devices, analyze your view counts, and even monitor view counts for specific time periods. 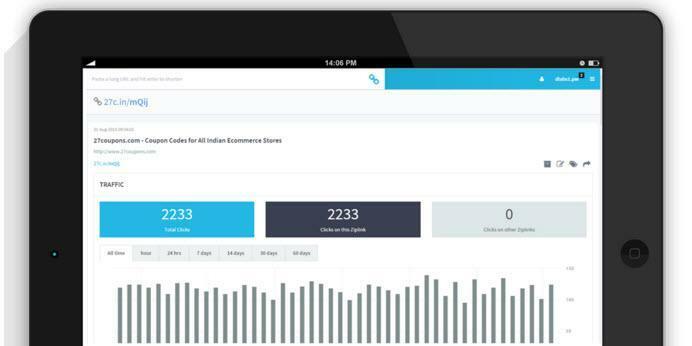 What an awesome tool to monitor your video marketing ROI, right? If Instagram is an essential component of your content marketing strategy, consider adding TinyMetrics to data analysis plans. TinyMetrics offers a number of powerful tools including hashtag, audience, and time analytics. Know the best times to post, track follower counts, and maximize the potential of your audience engagement opportunities. TinyMetrics offers handy export capabilities, making it easy to share your visual marketing analytics with your team. If you’re overwhelmed by the volume of Google Analytics data at your disposal, consider incorporating Whatagraph into your data-diving quest. 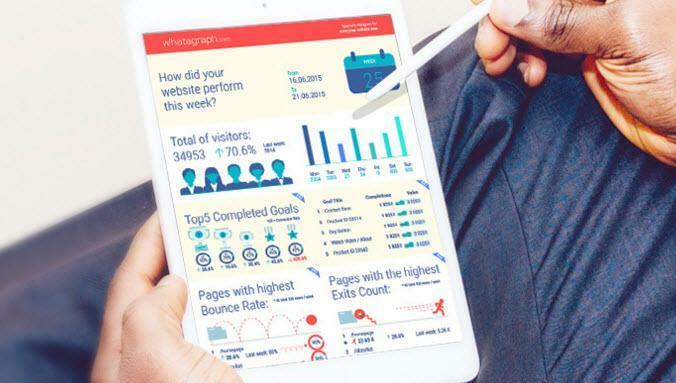 Whatagraph lets you create infographic reports from your Google Analytics data. Easily understand numerous data points including site visits, bounce rates, and top-performing site pages. If you analyze how you are spending your time across multiple marketing platforms, you might develop a better understanding of how to improve your efficiency. Esper offers calendar analytics for both Google calendars and Microsoft Exchange calendars. Used by the likes of Uber and Dropbox, Esper lets you analyze your calendar by event categories and garner insightful data as to where your time might be better optimized. Create detailed data visualizations for a clear picture of your current time expenditures. Gahint will help you understand fluctuations in visits to your website. Available from KPI Watchdog, gahint uses your Google Analytics data to offer detailed visitor information based upon trigger events. Understand increases/decreases in organic traffic as well as social referral fluctuations. For those who frequently A/B test their marketing efforts, ChangeAgain is an interesting option to explore. Fully integrated with Google Analytics, ChangeAgain lets you analyze everything from bounce rates to page views and session length. If you’re going to be A/B testing your marketing anyways, doesn’t it make sense to use the power of Google Analytics to better understand your test results? If your company is utilizing email marketing for customer outreach, investigate Saydoc for document analytics. Saydoc offers data analytics on everything from time-on-page to real-time open rate information. You can use Saydoc to create time-limited, permission-based documents and incorporate electronic signatures into your email outreach efforts. If you are making a concerted effort to connect with mobile-enabled consumers, consider integrating qrd.by into your mobile marketing efforts. qrd.by lets you create QR codes for mobile-enabled consumers and helps you understand interactions with your QR codes thanks to built-in analytics. Create a QR code from an URL, text input, or even from your favorite social media interface. Their powerful platform even lets you create a mobile landing page from a QR code. Who knew QR code marketing was so easy? If you want to optimize everything from your email marketing to your social media outreach, consider adding Ziplr to your growth marketing plans. Ziplr lets you create custom URLs for every link you share and analyze interactions with your links thanks to detailed analytics. Monitor interactions across multiple social networks and email marketing campaigns, understand which geographic locations are most fruitful for your brand, and which types of devices your audience is using. If you’re sharing links anyways, doesn’t it make sense to understand audience interactions with those URLs? Bad data has far-reaching negative impacts on the costs and performance of your marketing and sales campaigns. 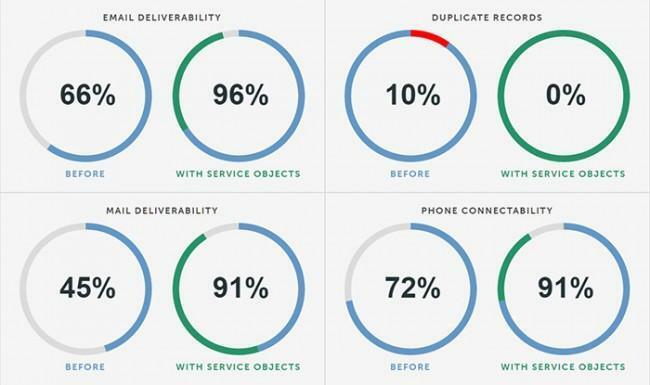 With Service Objects data quality tools, we can identify and correct bad data in your marketing platform, resulting in significantly improved performance of your marketing and sales efforts. Service Objects’ data correction and enrichment services ensure that your marketing lists and contact records are accurate, genuine and up-to-date, allowing you to focus on converting and selling. Integrating a number of data analysis tools into your growth plans not only helps you understand your audience, it helps you understand where your marketing efforts could be better optimized. If data analysis reveals a higher percentage of audience engagement is coming from email marketing versus social media marketing, you can tweak your outreach strategy to focus more resources on email campaigns. Understanding which methods are producing the highest value for your business allows you to adjust your marketing efforts on an ongoing basis. With powerful data analytics tools at your disposal, you never have to worry about throwing good money after bad on outreach efforts that aren’t producing significant ROI for your business. Do you think you’ll be investigating any of the aforementioned analytics resources for your company?